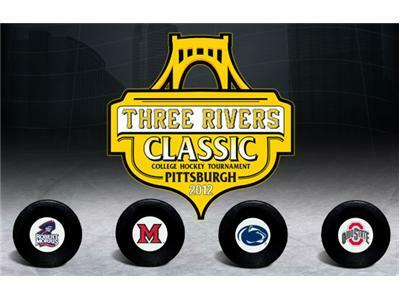 The Gospel of Hockey starts 2013 with a quick look back at the Three Rivers Classic before stepping forward into the "second half" of the hockey season for local teams and programs. Hockey Evangelist Matt Gajtka and Puck Prophet Larry Snyder discuss the future of college hockey in the Pittsburgh area and whether RMU has become a major player in the Tri-State sports scene, plus more fallout from the success of the showcase at CONSOL Energy Center. Matt and Larry then dig into the ongoing World Junior Championship in Russia, where the United States will skate for gold against defending champ Sweden on Saturday. Where does America's semifinal win over Canada rank on the list of significant steps foward for USA Hockey? The guys will also debate whether the NHL has caused lasting damage to the sport even if the league resumes later this month, as is speculated. Finally, stay tuned for the Local Hockey Report, featuring updates on junior, college and pro teams from the region.